Halloween parties have finally concluded, which means no more costumes, no more pumpkin carving, and hopefully, for my sake, no more candy! It’s not that I don’t enjoy Halloween as much as the next person; I just LOVE Thanksgiving much more. No pressure to find a costume or buy gifts, just one holiday dedicated to being with friends and family for eating (and drinking). Here are some delicious cocktails for the fall season and Thanksgiving, because it’s never too soon to start planning your Thanksgiving menu! With everybody posting Facebook statuses and Tweets about going apple picking this weekend, I’ve decided that rather than joining in on the apple picking fun (a hobby I have never found too appealing) I’m going to stick with a hobby I do enjoy- drinking cocktails- and will sip a nice spiked Apple Cider instead. The Original Cinn schnapps is the perfect addition to the appley goodness of the cider, and creates a nice apple pie taste in liquid form! Serve over crushed ice or try it warm. 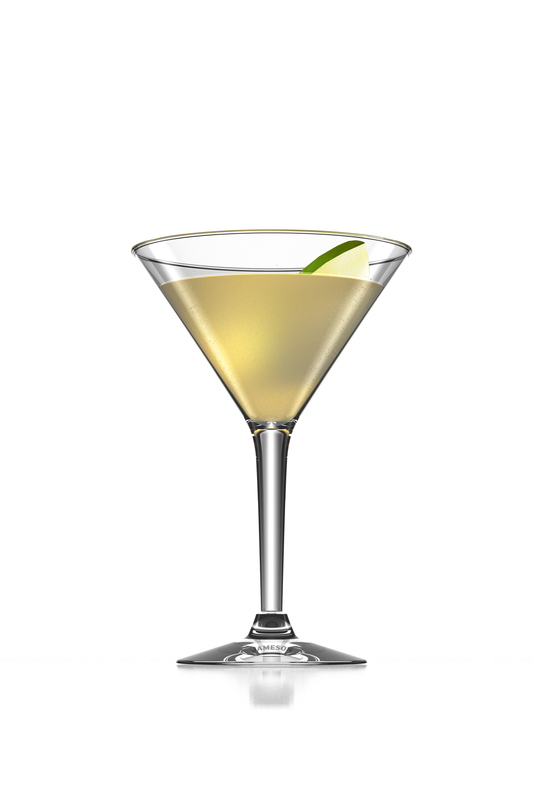 Garnish with apple slice. I hope you all have a wonderful fall weekend! As I mentioned a couple weeks back, I was put in charge of planning the cocktail menu for my annual pre-Thanksgiving dinner that I will be having with my old pals I went to college with (way back in the day). In my quest to find the perfect drinks for a Thanksgiving Day celebration, I have turned my colleagues into my guinea pigs as I experiment with the various liqueurs, schnapps and spirits we have hanging around at the office bar (don’t worry I don’t have to twist their arms too much to do this for me)! 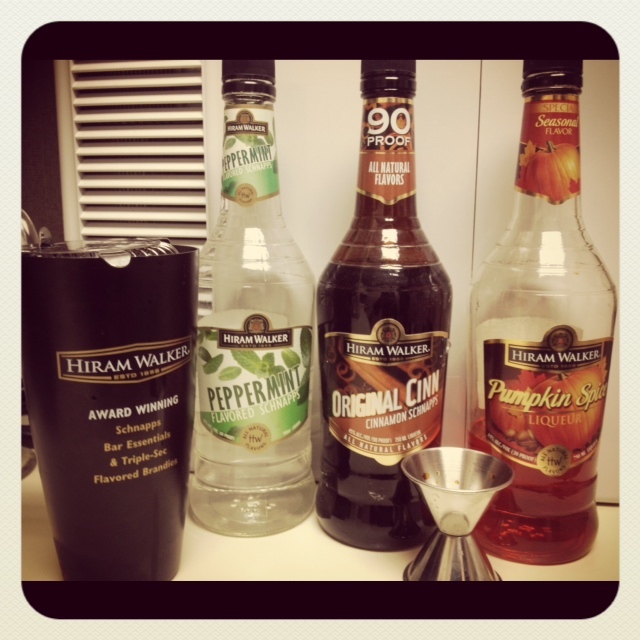 This week I decided to see what would taste better with Hiram Walker Pumpkin Spice Liqueur, Hiram Walker’s Peppermint Schnapps or Original Cinn Cinnamon Schnapps. After experimenting and polling the coworkers, a combination of all three was declared the winner, and The HW Trifecta Shot is this week’s Friday Feature Cocktail Shot. The best of Hiram Walker in one delicious shot! 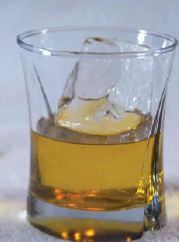 Shake with ice and pour into shot glass. This shot, like the Fluffy Pumpkin Pie Shooter, is a very sweet one, so this would also work great as an after dinner liquid dessert if you’re too full from the turkey and stuffing to even touch the real desserts (I know, who am I kidding, there’s always room for the dessert). 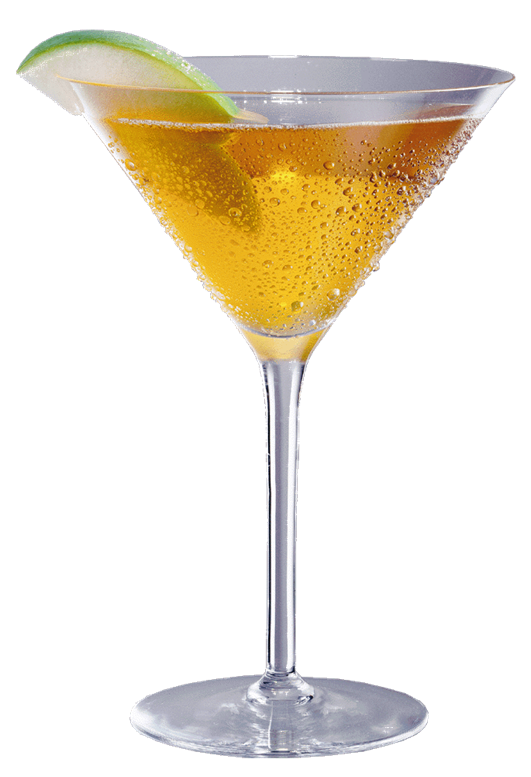 Since Thanksgiving is a time for indulgence, you might as well indulge with your drinks!